If you’re here reading this blog, it’s probably because you are ‘green at heart’ and have an interest in environmental protection and all things sustainable. You’re fed up of all those disposable coffee cups littering the banks of our motorway slip-roads? Perhaps your little one is already a green baby and wears babies pyjamas and cloth nappies already or you’re simply thinking of dumping the disposables in favour of them? Whichever it is, now you have a child you are keen to live a greener life . 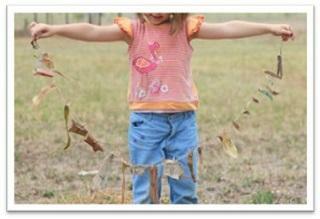 And what better way to start than thinking about fun green activities to do with your child? Forget about buying bespoke baby and toddler ‘musical instruments’ in a box covered in loads of plastic and use whatever you have in the house. You don’t need to spend money to buy ethical baby toys. You can fill a kitchen container with rice and your little ones can shake it to make a lovely sound. Or you can fill a container with a few teaspoons to make a completely different noise. Then of course the kids could simply turn a saucepan upside-down and hit it with a wooden spoon to make a drum. And don’t forget the old favourite!. Fill a few bottles with varying amounts of water and lo and behold your little one can make all manner of musical sounds. A veritable orchestra in your kitchen alone! Ok so let’s be fair, every house has a stash of odd socks and old socks. (How is it possible that an even number of socks can go in a washing machine but only an odd number comes out?) Anyway why not make some Sock Puppets with those odd socks? White are best for obvious reasons but any old socks with do to be honest. You can even make Door Stoppers with old socks. Just get the children clothe to fill them with sand or something similar and decorate the outside however they want and with whatever you have hanging around. Who knew socks had so much potential?